Trw418 Regatta Kid's Dover Waterproof Hydrafort Jacket Schoolwear Winter Coat Royal/navy 34"
Boys Quilted Padded Bomber Jacket. Black colour. Fold away hood. Will be perfect spring/winter jacket! A ge 9 years. Zip fastening. Excellent condition helly hansen jacket. Ideal for boy/girl. Lightweight. Wind proof. Great school coat. Condition is Used. Dispatched with Royal Mail 2nd Class. POLARN O. PYRET COAT. 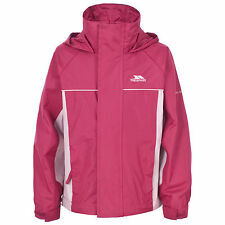 This is a lovely bright coat - suitable for a boy or a girl. Detachable hood. Showerproof outer. Zip fastening. Zipped pockets with long zip pulls. Shaped hem. Size: 122/ fits age 6-7. Mayoral designer blue jacket lovely and warm. age 5 years in very good condition. Boys Next Blue lined hooded jacket AGE 2-3 YEARS. Condition is Good Dispatched with Royal Mail 2nd Class. Boys NEXT 2018 bright coloured Spring/summer jacket Age 11 Years-only worn once! Gap Water Proof reversible Jacket. Very light thin jacket. Amazing Design in Reversible Style Lightweight Jacket. Jacket reversible side is a plain Orange color. Jacket full zip fastening, Two front side pockets from the both sides. Perfect with Clean condition. Boys blue Fila jacket. Good Condition although the detachable hood is missing. Will fit age 12-14. Colour: Black. Size: Large (Age 12/13). If I've missed anything it will be a genuine error that I would like to correct. JoJo Maman Bebe Waterproof Polar Fleece lined Reversible Jacket. A really FAB reversible hooded Rain Jacket from Jo Jo Maman Bebe in the 2018 Boat design. This provides two jackets in one; a fully waterproof outer or a smart fleece on reverse. Arsenal 'Young Guns' Black Used Jacket. This is an authentic Arsenal Jacket, which has been hardly worn, so is in very good condition. The age range shows on the label 12-13 years, but my son wore this coat from the age of 11 years old. Polarn O Pyret Waterproof Padded Winter Jacket. Black/Grey Age: 2-3. Good Condition. Dispatched with Royal Mail 2nd Class. SHOWERPROOF. NYLON. GAP WATERPROOF COAT. NAVY JACKET. SIZE SMALL (ADULT). HIDDEN HOOD IN COLLAR (ROLLS OUT WHEN REQUIRED) SEE PICS. Stunning Boden Coat Age 12 To 13. The jacket is navy blue in colour throughout. There is a zip to the front and six buttons also. There are two upper pockets and two larger pockets to the bottom. 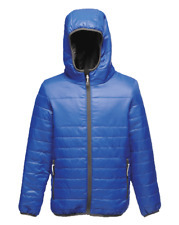 Padded jacket in wind- and waterproof fabric with a fleece-lined detachable hood. Zip with a wind flap and velcro fastener. Pockets at the front with a flap and fastener. Tab with velcro fastener at the cuffs. Boys black faux leather coat/Jacket with red and white stripe down the sleeves with zip fastening. Age 2 Years 92cm in good condition. Adidas Core 11 Rain Jacket Junior This black Adidas rain jacket for kids, is great for the football field. Machine washable. The jacket will keep you dry in bad weather and has a ventilation strip at the back. 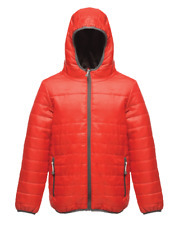 NEXT Boys Hooded Showerproof Jacket in Orange - Age 6 Years/Height 116cms. Super quality Boys Jacket by Next. Zip fastening with 2 Zip fastening security pockets. BNNT Kids Highlander PADDED Combat Jacket army AGE 7/8 Years. Only tried on ... tags were removed as my son said he would wear it...but he didnt! Excellent immaculate condition as new. Diesel Zip Jackets. Size 12 years. NIKE FLEECE LINED JACKET. FULL ZIP WITH HOOD. BLACK & RED. Lovely boy's light weight hooded jacket. Great for all year round.